The brief was to host an annual gala dinner and cabaret to help raise funds for a respected Berkshire Children’s Charity. This involved managing the audio visual and technical elements of the cabaret and staging of after dinner entertainment. With any charity event, the trick is to transform the events space into an area which communicates the right message to the charity audience whilst creating a platform for live entertainment and fundraising. In this instance we were tasked with converting Wentworth, a traditional golf club, into a luxurious cabaret with a stage set for live entertainment and silent auction area. The charity promoted the event several weeks before inviting local businesses and private individuals. The gala dinner and cabaret were a complete sell-out with guests attracted by big names from the entertainment industry and the lure of the prestigious Wentworth Golf Club. The charity dinner itself was hosted in the spacious Wentworth ballroom with its gabled ceiling, elegant chandeliers and beautiful paintings. The room was transformed with cabaret style seating and ten round dining tables. 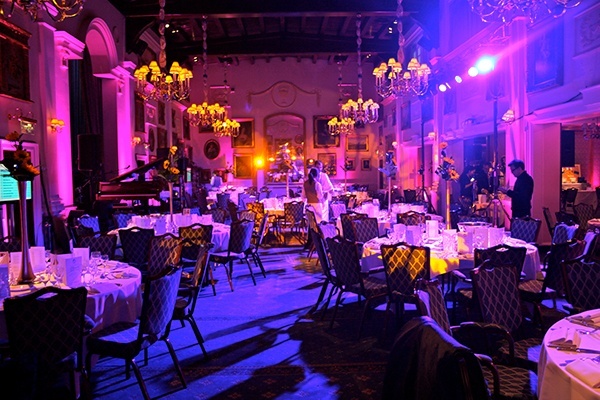 A stunning stage set and mood lighting added to the ambience whilst guests were entertained by local and firm supporter of the charity, Sir Michael Parkinson. 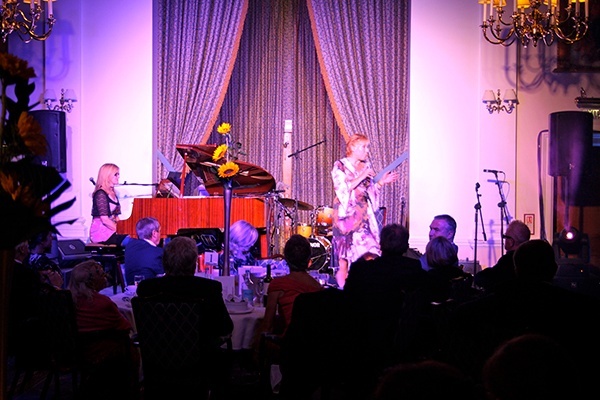 Musical entertainment included dazzling performances from Laurie Holloway and his trio, Kenny Lynch, Joe Stilgoe and jazz sensation, Clare Teal.